In 1998 when Chief Makoni called me back to my home in Rusape to handover a Royal Princess place which had been idle for 400 years, I felt it in my heart I had reclaimed my authority as a woman on earth. I learnt all about women and authority within our family from 400 years ago and then I rebuilt the place and spread the concept of Muzvare -Princess round Zimbabwe and the world. I wanted 21st century world to know Muzvare is a title bestowed on me by my tribe and that I had powers to share it and champion good causes like Prince William and Harry do. I have done it successfully and am so happy there is so much recognition of it round the world.It is my duty to hold this title and pass it on to generations. There is a discussion started on Facebook by one highly respectable woman from the Zimbabwean community Nyaradzayi Gumbodzvanda and always she is spot on with information and linking everything to reality and to people. She discusses the subject of our royalty as African women and got it right that we reclaimed it or I did reclaim it and have practised it very well. Then she is joined by a woman I adore and admire, my Royal Princess Deun Adodyin Solarin who has lived with her royalty since birth and done many community projects to unite Africa. Now she launches a global Pan Afrikan Movement on 10 November in UK and ensuring it spreads across Africa like veld fire. The women in and from Africa do not need to clamor for political positions only because like me Muzvare, my role as a Princess even in my tribe is much bigger than just belonging to a political party. I belong to all people and this role does not create boundaries for me. In any place, I am Ambassador of what I do and that is why our traditional titles will be much bigger than any political parties. We know what we are born to do in families and in communities and we will do it right. What is the role of African Women Cultural Leaders in Social Transformation? Last week, I listened to a fascinating presentation by the Queen of the Buganda at the Women Leaders conference, and started to reflect about this point in relation to my own country and context. 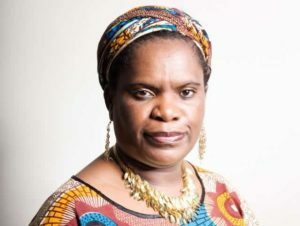 Betty Makoni has claimed her royalty as “Muzvare” within the public sphere as part of the public identity. How often do I even think about the meaning of “Mwenewazvo – the owner”, the praise name for females in my Soko totem. If I have this esteemed title, how much do I even consciously think of myself as an owner of knowledge, power, resources…We are also called vana “Mutinha – a herder”, in our praise songs for my people. How often do I think of myself as a shepherd, caring, tendering, and yet giving direction and protection. Digging into the depth of traditions, positively lifts the roles of women in soceity and is a great contribution to African women’s leadership as we tackle difficult and complex social, political and economic issues that face us every day.